I was going to run that very cool looking Color Me Rad race last Saturday. And then I found out the Great Cloth Diaper Change (GCDC) was on the same day! Wait, no it’s NOT! It’s cloth diapering, folks! That’s a no-brainer! So we went off to the Univ. of Hartford where I was a volunteer helping Cozy Bottoms Cloth Diapers put on a great event! Cozy Bottoms is a great shop to get all your basic cloth diapering supplies! Great goody-goody-gumdrops, I mean Goody Bags! So many great sponsors helped make the day fun! Check out the awesome goody bag! I even put in a fun twist-up colored pencil from this blog! (see it in blue!). Taylor’s Naturals (BALM! Baby, RAW Materials, Taylor’s Soap & Skin care) sent several products to distribute among the bags: Diaper Balm, Eucalyptus Rub, and their Natural Sunscreen. Taylor’s Naturals has a product for just about every skin care, baby, and home need! I’ve reviewed the BALM! Baby Diaper Balm and can tell you it’s superb… and smells great too! With summer coming up, you’re going to want to grab some of that natural sunscreen! I was blown away by the crafters and vendors (I think most all were local!) at the Earthy Family Fair that preceded our GCDC event. Not to mention the fantastic raffle prizes offered! Wool dryer balls, handcrafted soaps, essential oils, doulas, corn-based children’s plates and spoons! A local children’s place even had a bubble machine and a corn digging table for the kids – I pretty much lost my oldest to the corn table all morning! I did end up babywearing the little guy in my Ergobaby for the last part of the day (cleanup!) and he nodded off before lunchtime! He’s been an early riser lately! 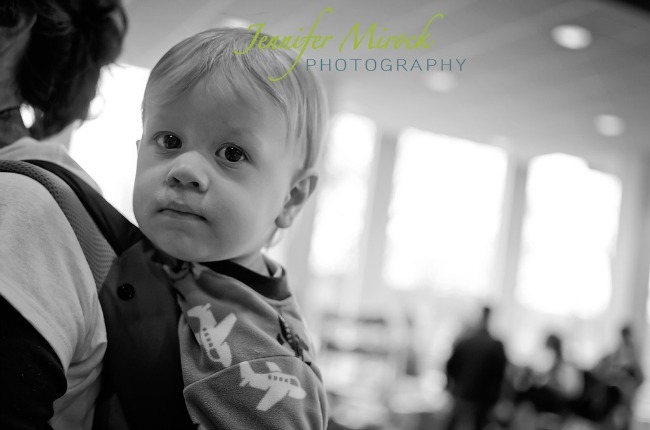 My personal favorite (okay other than these amazing photos from Jennifer Mirock Photography!) was the delightful coiled rope bowls by Rhymes With Smile – I just realized I know the artist from my local MOPS group! Small world. You’ll want to check out her Etsy shop! Oh and we changed diapers too! For the record attempt: 186 events qualifying events gave us 8373 participants in 18 countries… unofficially that set a new record, but of course, we’re waiting on Guinness to confirm! Babies and their changers went into a roped off area around 10:45, then at the signal, all babies were changed into a cloth diaper. I was an official witness, so I had to have a fellow volunteer change my baby! He wore his favorite new Tots Bots EasyFit 4 in the Hey Diddle Diddle print! It’ll be a few weeks till we find out if this year’s Great Cloth Diaper Change made a world record. If it does, then BOTH my boys will be in the Guinness Book of World Records, as we did the GCDC in 2011 too! Who here participated in the Great Cloth Diaper Change 2014 event? If you haven’t yet, I can promise it’s a really exciting time – find one in your area, or host your own event!! Thanks to BALM! Baby for sponsoring goody bag items and this post! All opinions are my own! Gift Ideas for the Greatest Mom. At Best Buy! Great post, Julie! I was so excited for participate for the first time – and it’s great to know the unofficial numbers! Thanks for the generous shout-out. Fun to make connections! I didn’t participate myself, but I have a friend that did!